I believe that their relationship after the events of book could develop into very strong and deep and that this ship is very interesting as well for being complicated. 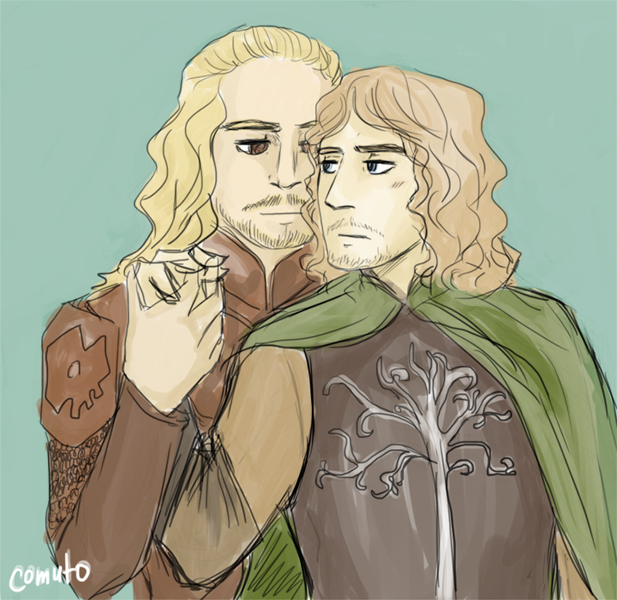 I don’t like that there’s a strong opinion established that this pairing can only be possible in au or before the events of LotR. I really love how you’ve drawn these two. Those smouldering looks! very good art,are you on devinart? For more work by comuto, see deviantArt.